Cover letter examples and cover letter samples are probably the best way to learn how to write a great cover letter. Start with a generic cover letter and make it your own. Writing a cover letter is part art and part science. There are definitely some resume format rules you'll want to follow, but you also just have to get a bit creative in highlighting interesting and achievement-oriented information. I helped my daughter with a cover letter for her first job out of college and it was instrumental in getting her a job. Her hiring manager made a point of telling her how her cover letter stood out from the others he'd gotten. My significant other has used a variation of the letter to get a couple of jobs of his own. I was excited to learn about your Administrative Assistant position recently from Craig's List. I am seeking a position that will enable me to build upon the skills I have learned in college and the various jobs that I have held, while allowing me to make a positive difference in the operations of my employer. As you can see by the enclosed resume, in May I graduated from Syracuse in the Entrepreneurship and Emerging Enterprises program in the School of Management, earning my Bachelor of Science degree. Because I changed majors part of the way through college, I had to work extra hard to graduate on time and with a positive cumulative average. I am actively searching for challenging position with an industry leader, such as Widget Systems. With a background in the service and retail industries, I feel confident about the skills I can bring to your organization. I am a highly organized, detail person who enjoys and excels at finding creative solutions to challenges I encounter. Also, I love to learn and can pick things up very easily. I am a hard worker and I work quickly, and I have strong verbal communication skills. In addition, I have a strong interest in learning more about the widget business, as I think that may be a good fit for my skill set and interests in the future. I would be pleased to bring my leadership, versatility, and dedication to your organization. I will be a diligent and loyal employee with unparalleled integrity. I am confident that I have the skills and the drive to succeed as your administrative assistant. I look forward to speaking with you further about my qualifications, which are fully presented in the enclosed resume, and demonstrating how I would be a perfect fit for your company. If you have any questions, I can be reached at the number listed above. I am excited about the possibility of a personal interview at your earliest convenience to discuss my credentials with you. P.S. Thank you in advance for your consideration of what I have to offer. I look forward to meeting with you and will follow up within the next couple of days to make sure you've received my documents if I don't hear from you earlier. As you can see, this job cover letter example makes use of a number of different strategies for impact. For instance, the bold headline at the top immediately calls attention to Jennifer's strengths, as well as her career objectives. It grabs your attention, doesn't it? In addition, she gives a quick glimpse at her history and her current career path within the first paragraph, going on to point out her unique talents and skills that will set her apart from other candidates. Finally, this free cover letter sample is actionable... it finishes with a clear call to action for the recruiter to contact her. And if that doesn't work, Jenn tells the reader she truly IS a go-getter who will follow up on her own. I was excited to see your listing recently on the Montana OPI website for a math teacher at Freebird High School. I am currently seeking just such a position as math teacher in western Montana. As you can see by the enclosed letter, I am currently enrolled in the Northern Plains Transition to Teaching (NPTT) program and I expect to earn my Montana Alternative Teaching License (Class 5) by the end of July of this year. With a Bachelor's Degree in Mathematics, a Masters in Business Administration and solid engineering experience, I feel confident about the skills I can bring to your school district and its students. I plan to use my real world experience in bringing the field of mathematics to life in a manner that will make learning both enjoyable and effective. I was also intrigued about the opportunity to participate in athletic coaching. With a lifelong commitment to fitness activities such as running, martial arts, and weight training, I am uniquely positioned to share my skills and knowledge with young people. I would be pleased to bring my leadership, versatility, and commitment to results to the Freebird High School Math Department in the position of Mathematics teacher. I am a diligent and loyal employee with unparalleled integrity. In addition, I want to assure you of my high level of interest in this position and in moving to your lovely area. Our home here in New Jersey is already for sale in anticipation of our move to western Montana at the end of the summer. I look forward to speaking with you about my qualifications, which are fully presented in the enclosed resume, and demonstrating how I would be a perfect fit for your organization. If you have any questions, I can be reached at the number listed above. P.S. Thank you in advance for your consideration in what I have to offer. I look forward to meeting with you shortly and will follow up next week to make sure you've received my documents if I don't hear from you earlier. Both cover letter examples here illustrate the power of using a strong headline to highlight talents and objectives. This letter also puts a positive spin on lack of experience in a new career by pointing out transferable skills (i.e., real world experience). The cover letter also ensures the applicant's commitment to moving to the new area. He's not just exploring possibilities; he's already decided he's coming. This should allay any of the recruiter's fears that an interview will be time wasted. Feel free to copy anything from the cover letter examples above for your own purposes in constructing your cover letters. But consider these ideas as mainly just a sort of "jumping off point" for your own cover letters. You have to make them your own and relevant to you and your career goals. Once you have your own generic cover letter template that already highlights key points about your experience, goals, skills, talents, and achievements, then it will be easy to customize it and target it to the specific job or company when you start your job search. I recently found out about a wonderful new resource from an expert on writing killer cover letters. His name is Jimmy Sweeney. I have persuaded Jimmy to give you – at no charge (but only for a limited time) – an instant download of his book, "Top 10 Secrets of the World's Greatest Cover Letter... Attract Job Interviews Like a Magnet" as a special gift just for visiting my site! This little eBook is wonderful, just chock full of resume cover letter examples and great cover letter tips. He even talks about how to write a follow-up letters that you send after an interview. You'll love this one-of-a-kind book... the graphics are really cute and you can read it quickly because of Jimmy's easy-reading, "Top 10" format. I promise you've NEVER seen anything like it before. 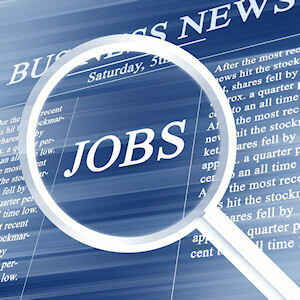 Go to ==> Great Cover Letter Tips. Hopefully, you found these cover letter examples to be helpful in your own cover letter writing. But if you have any unanswered questions, feel free to ask them here.